Talking with your family and friends, you have probably heard at least a few of them mention how they have a chiropractor appointment. That, or they may have spoken to you about how they went to see one and how they felt so much better afterwards. That’s because there are a plethora of health benefits that go along with seeing an expert in the field. Some of the benefits of chiropractic care are obvious, like pain relief. However, there are others that you may not have considered before. If you have never been interested in going to see one, or if you are on the fence about whether or not it’s going to be worth the chiropractic adjustment cost, explore these details first. How chiropractic works is a relatively simple concept to understand. When it comes to pain relief, a professional can take a look and feel of your back and in some instances, be able to pinpoint the location of your pain without you even telling them anything. He or she will then perform a spinal manipulation to get your spine back in balance or alignment. Even the smallest part of your spinal cord being shifted in one direction or another can cause back and neck pain. If you allow a chiropractor to manipulate your body and put everything in place, your pain relief will come a lot more quickly than if you try and let things take care of themselves. Prescription medication can be helpful in reducing some health issues, but they are also extremely dangerous if taken improperly. You may think that you can handle taking narcotic medication for pain relief, but they are addictive, and you can be hooked without any control. In 2014, a survey showed that 15 million people ages 12 and older were using prescription drugs for purposes that weren’t medical. A chiropractor can treat your pain along with other mental health conditions that could require medication such as anxiety and depression without you ever having to pop a pill again. When you visit the office regularly and get your spine realigned and your body back in balance, the entire body is going to function better for overall well-being. In today’s technology-saturated world, everyone is constantly hunched over looking at a phone or a computer screen. As a result, poor posture develops, and a curve in the neck and spine are inevitable. Poor posture can be corrected through regular chiropractic visits. Everything that has slowly moved out of place can gradually be put back. If you are someone that lives with chronic stress, tension, or pain, you probably aren’t even aware that it’s wearing you down. It has become a regular part of life, so you think that being tired is just who you are now. It doesn’t have to be though. With a visit to the chiropractor once in a while, all that pressure can be released. Your body will start functioning again like it’s supposed to. Your natural energy will automatically return to the levels you had before. Did you know that the spinal cord is the control system for the body? You probably thought it was the brain, but that’s not true. Your spinal cord has a direct relation to how every operation throughout your body functions. That includes your lungs. When there is a misalignment in the spine in certain spots in the mid-cervical or thoracic regions, you can develop asthma and other breathing issues. A chiropractor can realign the problem for better breathing and reduction in any lung inflammation. While there are some risks of chiropractic care such as a headache, stiffness, or discomfort in the part of the body that was adjusted, it can also boost your immune system. You need a properly running immune system to fight off illnesses from viruses and bacteria. The nervous system helps with organ, tissue, and cell functioning. Because the spinal cord controls the nervous system, it needs to be in alignment so that the immune system can give it’s the best performance. Chiropractors can realign the spine making it possible for everything to run correctly. People that get regular treatments have even been shown to get fewer colds. Those stomach problems can be eliminated through proper alignment done by an experienced chiropractor. Chiropractors can offer the same benefits through a completely natural, non-invasive realignment in the neck area. It has been shown to be the equivalent of taking a double dose of blood pressure medication in some patients significantly reducing their symptoms. If you do, your sleep could be affected. There is an abundance of patients that visit their medical doctor for sleep problems. Again, they get a prescription medication that masks the problem. Chiropractors can take care of the underlying issues so that you can sleep better naturally. The chemistry of the body is decided in part by your spinal cord. With an adjustment, you are going to be better balanced throughout all of your systems. With the balances put back in place, you will feel better in both body and mind. People have seen the benefits of chiropractic care for anxiety, ADHD, depression, and more. When weighing out the chiropractic pros and cons, it is abundantly clear that it’s a health treatment option that shouldn’t be overlooked. 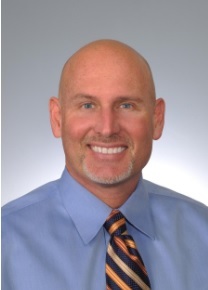 Dr. Brent Wells is a graduate of the University of Nevada where he earned his bachelor’s of science degree before moving on to complete his doctorate from Western States Chiropractic College. He founded Better Health Chiropractic & Physical Rehab in Alaska in 1998. He became passionate about being a Chiropractor in Anchorage after his own experiences with hurried, unprofessional healthcare providers. The goal for Dr. Wells is to treat his patients with care and compassion while providing them with a better quality of life through his professional treatment. Dr. Wells is a member of the American Chiropractic Association and the American Academy of Spine Physicians. He continues his education to remain active and updated in all studies related to neurology, physical rehab, biomechanics, spine conditions, brain injury trauma, and more.